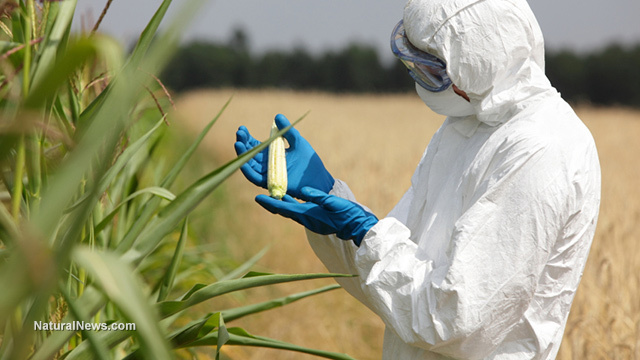 (NaturalNews) A new report by the Ministry of Health in Cordoba, Argentina, has documented a disturbing trend for those who live in areas where pesticide-intensive GM crops are grown -- specifically, a dramatic spike in cancer deaths. The report covered five years of collected data. The average cancer deaths in the province is 158 per 100,000 individuals. And yet, four of the "Pampa Gringa" districts have much higher death rates -- between 216 and 230. "Pampa Gringa" is considered the premier agricultural region of the Cordoba province. The Report on Cancer in Cordoba 2004-2009 is the official investigation which links the use of pesticides -- especially glyphosate -- to the staggering increase in cancer deaths. "What we have complained about for years was confirmed and especially what doctors say about the sprayed towns and areas affected by industrial agriculture. Cancer cases are multiplying as never before in areas with massive use of pesticides," said Dr. Medardo Avila Vazquez of the University Network for Environment and Health, as reported by The Ecologist. Dr. Fernando Manas of the Genetics and Environmental Mutagenesis Group at the National University of Rio Cuarto, agrees. He doesn't believe that the increasing number of cancer cases in agricultural areas are a fluke. After studying the population of Cordoba for eight years, researchers at Rio Cuarto have confirmed -- in 15 scientific publications -- that individuals exposed to pesticides have a much greater risk of genetic damage and cancer. Manas notes that glyphosate -- the herbicide used mainly on genetically modified crops -- has shown up in samples from lakes, soils and rainwater. According to the article "Cancer deaths double in Argentina's GMO agribusiness areas," Damian Verzenassi, a doctor and professor of social and environmental health at the Faculty of Medical Sciences in Rosario, is livid about the failure of the government to take quick and effective action. "The study of Cordoba matches the surveys we conducted in eighteen industrial agriculture areas. Cancer has skyrocketed in the last fifteen years. They keep demanding studies on something that is already proven and do not take urgent measures to protect the population. There is ample evidence that the agricultural model has health consequences, we are talking about a production model that is a huge public health problem." "[T]hese could only be initial measures to curb the excessive and extreme use of pesticides which is blighting the health of Argentina. The only real long term solution is to change the GMO driven, intensive, industrial agricultural system that Argentina and other countries have become wedded to and to put in place a genuinely sustainable, agro-ecological alternative."